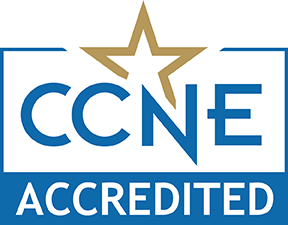 The baccalaureate degree program in nursing, Doctor of Nursing Practice program and post-graduate APRN certificate program at The College of St. Scholastica are accredited by the Commission on Collegiate Nursing Education, 655 K Street, NW, Suite 750, Washington, DC 20001, 202-887-6791. Baccalaureate degree in nursing from St. Olaf College. Certified Pediatric Nurse Practitioner from St. Catherine's University with a Master of Public Health degree (Maternal Child focus) from the University of Minnesota - Twin Cities. Master of Science in Nursing and a Doctor of Nursing Practice from Case Western Reserve University Frances Payne Bolton School of Nursing. Post-Masters Family Nurse Practitioner Certificate from The College of St. Scholastica. Joined the CSS community full-time in 2002. Teaching experience in online, classroom, skills lab and simulation, and clinical environments in undergraduate and graduate nursing. 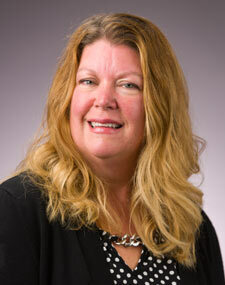 Interests include curriculum development and assessment, simulation, and collaborative testing in nursing education. National League for Nursing Simulation Institute Leadership participant for 2018. Experienced Commission on Collegiate Nursing Education site evaluator. Grant reviewer for U.S. Department of Health and Human Services Health Resources and Services Administration. Member of Sigma (National Honor Society for Nursing), National League for Nursing and the American Academy of Nurse Practitioners. Cynthia Brown’s clinical focus is in public health, nutrition, and substance use disorders. Her professional interests include community/public health, working with underserved & vulnerable populations, service-learning, chemical dependency/addiction, and the harm reduction model. 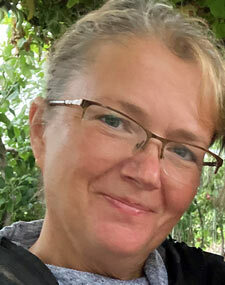 She is also involved in various service-learning initiatives in local and global settings. 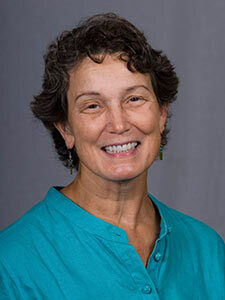 Jody Cadotte began teaching full-time in the RN to BS Nursing Program in the fall of 2016, after teaching as an adjunct faculty member for the program. 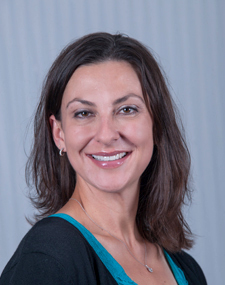 Jody holds a Bachelor of Science degree in Social Psychology from Park University and a Bachelor of Science degree in Nursing from Auburn University. In 2011, she earned her Master of Science degree in Nursing from the University of South Alabama with a Women’s Health Nurse Practitioner specialty. Her professional nursing experience includes neonatal intensive care nursing, maternal child health nursing, plastic surgery and women’s health. 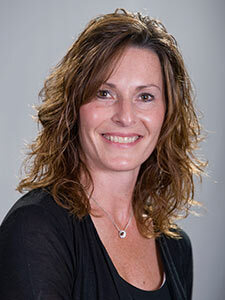 Jody is passionate about nursing and nursing education, especially online education. Having obtained 2 degrees online herself, she has a solid understanding of the unique needs of the distance learner, and understands the importance of creating an inclusive learning environment for all students. 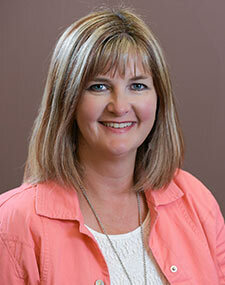 Jody has a love of teaching, and a strong commitment to nursing. She understands the importance of providing all nurses with a strong educational foundation. 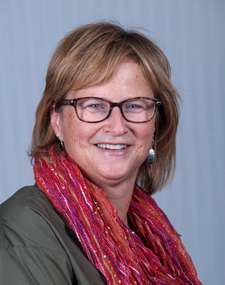 Jody is honored for the opportunity to educate and mentor future generations of nurses, and to be part of the amazing community at The College of St. Scholastica. My areas of interest are family nursing, underserved populations, climate change and trans-cultural nursing. These passions reveal themselves in the stories I share with students – from the cancer ridden illegal refugee seeking asylum in the US, to the woman with no pre-natal care who arrived in my clinic ready to give birth, to the homeless teen mom with a multiply handicapped baby. Engaging the affective domain through story telling helps breach the gap between academics and humanity - the very real needs of our patients within the larger context of family, community, political/economic realities and the globe. I have taken students to Belize twice to engage them in direct service learning projects in a transcultural setting and will be traveling there again in January 2018. I hope to expand these offerings to Alaska in Spring 2018. When not teaching, I unwind by writing, spending time with friends, and being replenished by the presence of wind and sky over our Great Lake. Julie Kantarik started teaching in the RN to BS Online Nursing Program in the Fall of 2014, bringing seven years of teaching experience to The College of St. Scholastica. She earned an AD in Nursing from Minneapolis Community College, a BA in Nursing from The College of St. Scholastica, and a MS with a major in Nursing from The College of St. Scholastica. Her professional experience as a nurse focused on cardiovascular and gerontological nursing with an interest in chronic disease management. She is passionate about fostering learning for students that decide to continue their education in nursing. She is excited to support The College of St. Scholastica in providing students "Direction for Life." 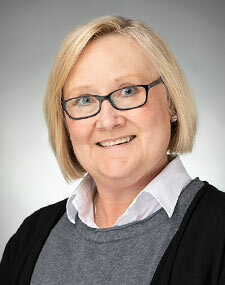 Louisa Krueger started teaching full-time in the RN to BS Online Nursing program in the fall of 2015 after several years of serving as an adjunct educator for the College of St. Scholastica. She holds a Bachelor’s Degree from Concordia College in Moorhead (Nursing) and Minnesota State University, Moorhead (Community Health Education). In 2008, she earned her Masters of Arts in Nursing from the College of St. Scholastica as an Adult Health Clinical Nurse Specialist and in 2012 earned a Post-Master’s Certificate as a Family Nurse Practitioner. Her professional experience includes public health nursing, nursing education and advanced practice nursing in women’s health and hospice. Louisa is passionate about online education and the role it can play in meeting the continuing education needs of rural nurses throughout our region. As an advisor for the Non Traditional Nursing Program, I am responsible for supporting online students from time of acceptance to the College through the time of graduation. I am the student's professional point of contact with the College and to assist students with all academic matters. I provide an orientation to all new students to ensure they have the information they need to be successful in the online program.